Another from our weekend wanderings at the nature reserve where we found a pile of cut tree trunks. 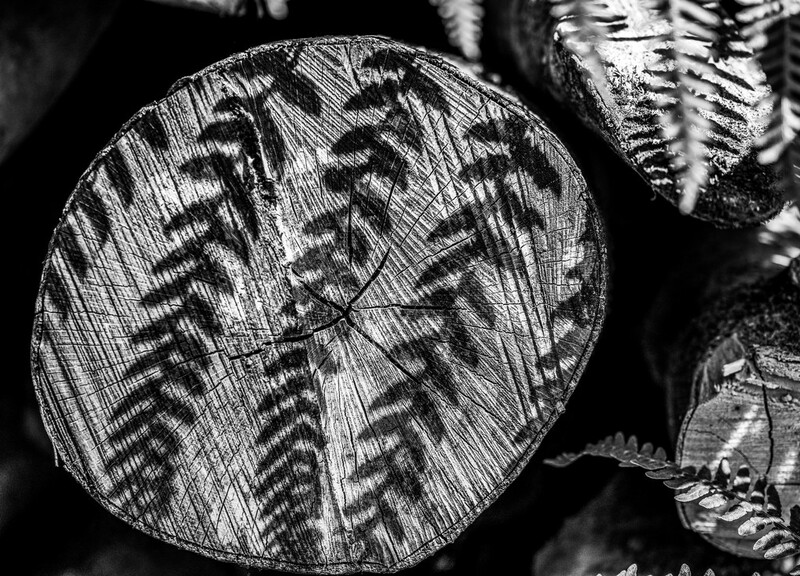 They must have been there a long time because the ferns were growing up through the pile and casting these interesting shadows. Processed initially in colour but I liked the contrast better in b & w.
These would make a great pattern for a set of placements! Interesting shadows and good focus to get the detail! It looks quite amazing, lovely shot. A beautiful image and your choice of b& w is just the best. So lovely - bet it was fantastic to see this in the woods. I like your B&W processing. Very interesting and also pretty at the same time. I like the B&W choice.